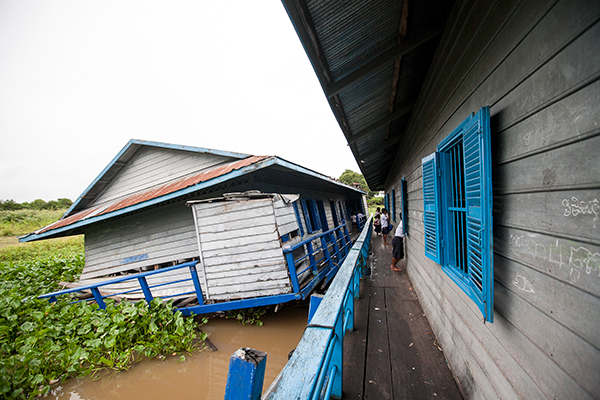 The elementary school in Prek Toal, Cambodia, is sinking. In a demonstration of its commitment to this project, the Rustic Pathways Foundation has pledged $25,000 from its discretionary fund to support the construction of a brand new, five-classroom, cement schoolhouse, adding to the over $15,000 already raised by our passionate donors and Development Ambassadors. This brings us closer to our goal of $100,000, but we still have a ways to go before construction can begin. Prek Toal is struggling due to its growing population and increasingly challenging fishing conditions, which threaten the industry that supports more than 90% of the village’s population. Most structures in the 3,600 person village are constructed to float on the surface of the water, rising and falling with the river and seasonal monsoons. The elementary school, built by UNICEF in 1996, is now dilapidated and steadily sinking into the water. Each day, teachers and students are forced to devote time that could be spent in class to pumping water out of the building in order to keep it afloat. 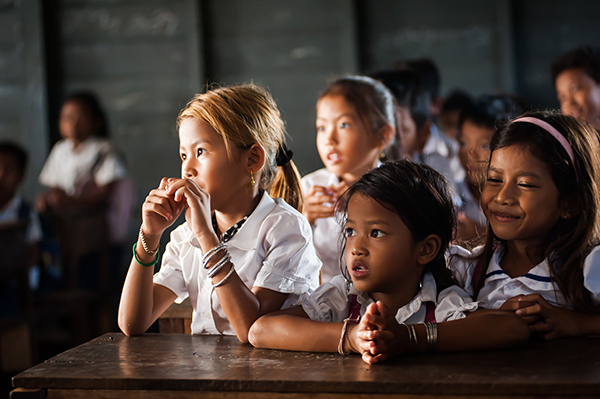 Rustic Pathways and the Rustic Pathways Foundation believe in challenging traditional approaches to education, but we understand that, in many communities around the world, securing basic resources that make education accessible and safe is the first step.